Meet our featured animal, the short-beaked echidna! Echidnas are monotremes, or mammals that lay eggs. Their long spines are made of keratin, the same material that makes up our fingernails. 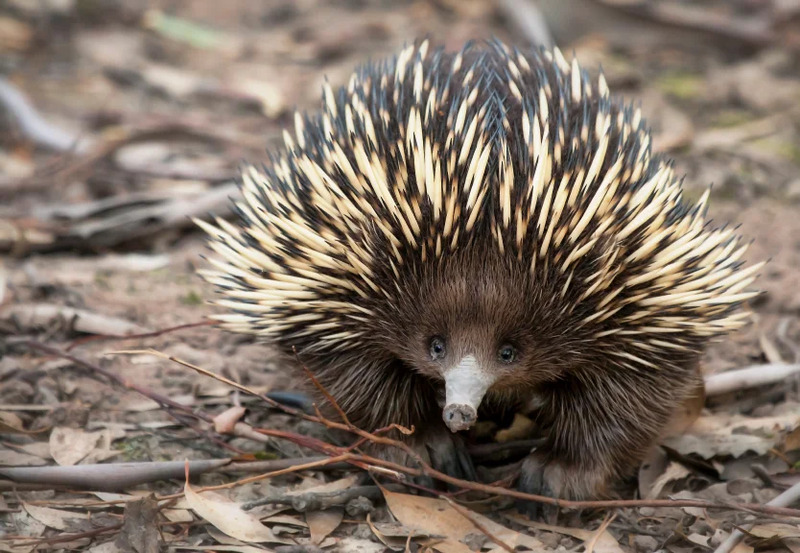 The echidna’s pointy snout can sense electrical signals from insect bodies. Echidnas do not have teeth, but they do have horny pads in their mouths and on the back of their tongues which grind the prey. The team of vet nurses at Taronga Western Plains Zoo has been caring for this baby echidna for the past couple months. Photo by Taronga Conservation Society Australia. 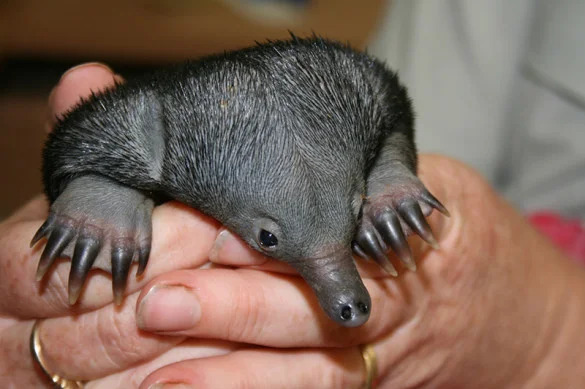 The Taronga Western Plains Zoo in New South Wales, Australia has been hand rearing a baby echidna (called a puggle) over the last couple of months. The little puggle was found at the side of the road. It is believed the mother was hit by a car. “The puggle is now approximately four months old and responding very well under the watchful eye of the vet nurses,” said vet nurse, Jodie Milton. Normally, echidnas live in their mothers’ pouches for 2-3 months and then move into a secluded burrow for up to a year. So it is very rare to see an echidna puggle. “It will be some time before the puggle will be able to fend for itself, but until then it’s in safe hands,” said Jodie. For more information about the little puggle, see the Taronga Western Plains Zoo website. Learn more about echidnas at our short-beaked echidna facts page. 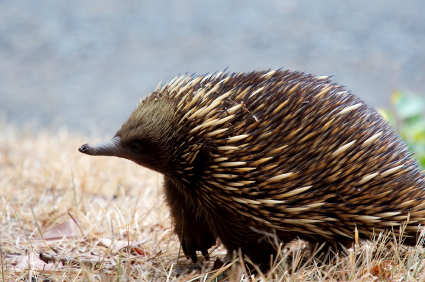 Meet our featured animal, the short-beaked echidna (e-KID-nuh)! Similar to reptiles, echidnas’ legs protrude outwards and then downwards, resulting in a waddling effect when they walk. The echidna has a pointy snout that can sense electrical signals from insect bodies. Baby echidnas are called puggles!